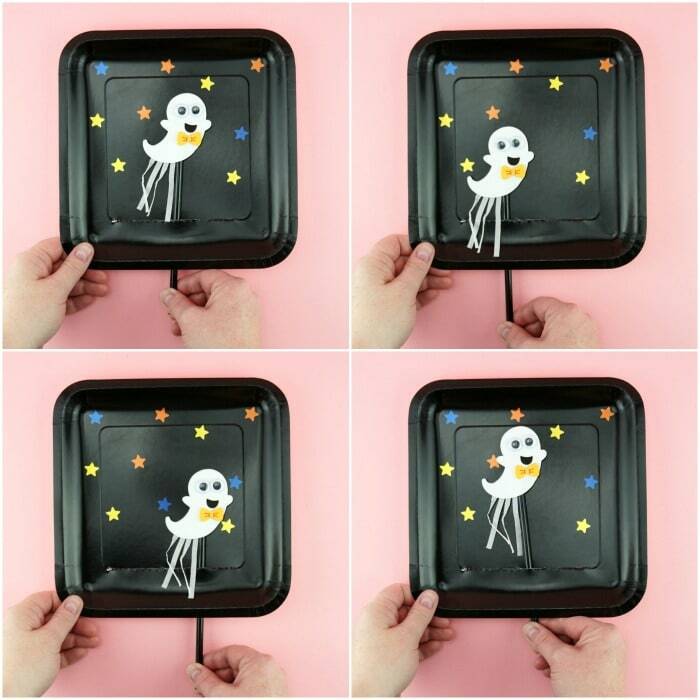 We created this Halloween Ghost Craft as a sponsored post for Oriental Trading. The full details and instructions for the project can be found on their idea’s website at Fun365.com. Are you looking for a super simple Halloween craft to make with your children this year and don’t have a lot of prep time? 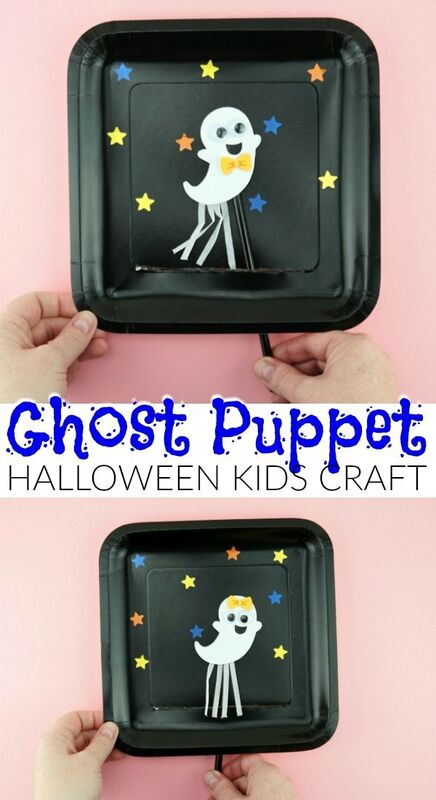 This Halloween ghost craft I am sharing today is the perfect solution! 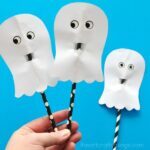 Using only a few supplies, you’ll have arts and crafts time ready in no time and kids will have a blast creating this Halloween ghost craft. If you are a regular reader here you know how much I love creating interactive paper plate crafts. I love how these types of crafts provide an opportunity for kids to use their creativity and then afterwards they get to enjoy play time. 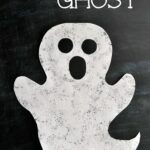 We are sharing the full tutorial of how easy this Halloween ghost craft is to make over at Fun365.com. The craft itself only uses three supplies, all of which you can find over at Oriental Trading. This makes the craft super easy to prep for. The ghost pencil toppers come in a set of of individually wrapped kits for kids to create and design on their own. They can make a boy ghost with a cute bow tie or a girl ghost with a pretty bow on her head. 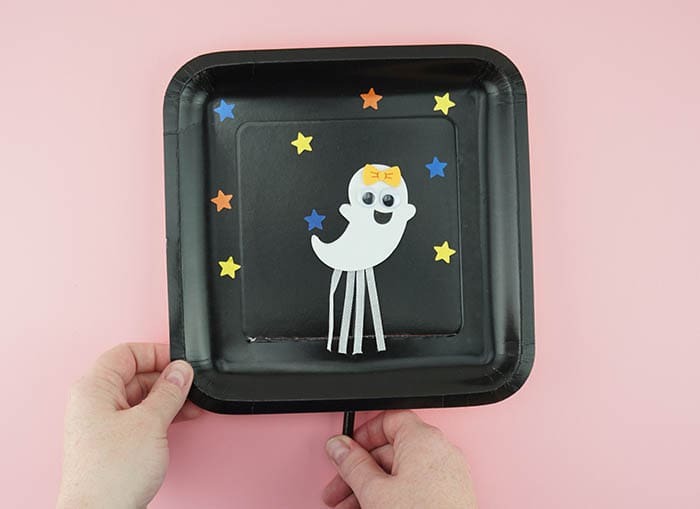 When kids are finished making their Halloween ghost craft they place the pencil inside the slit at the bottom of the black paper plate. Then they watch as their cute little ghost moves around the black starry night when they move their pencil around. This Silly Pumpkin Faces Flip Book is another awesome craft for kids to make and play with. The silly pumpkin faces will keep kids entertained all month long. 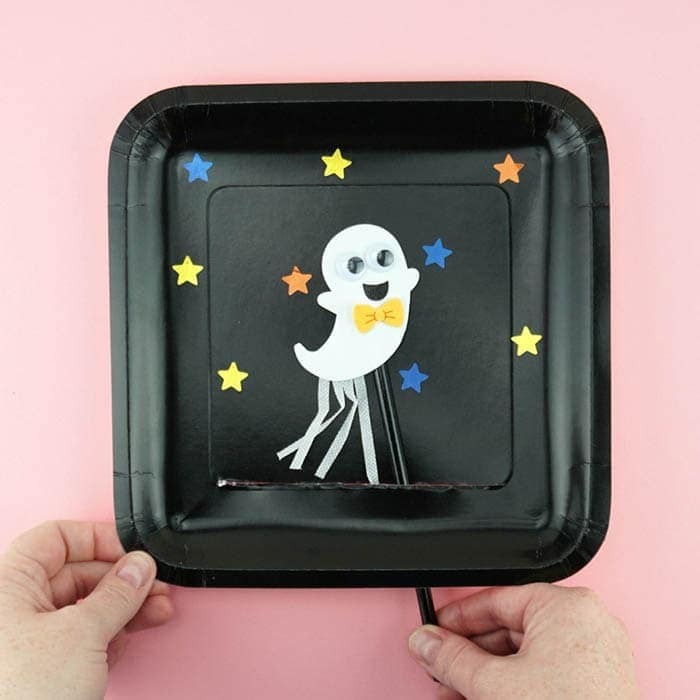 Here’s a clever way to turn two paper plates into a cute Halloween candy holder. A perfect craft to make at a Halloween party so kids have something to bring their candy and goodies home in. Let kids get some fine motor work in by making one of these yarn wrapped mummy crafts. We have a few templates available to make prep easy, peasy.